Zimbabwean president Robert Mugabe has challenged US President Barack Obama by asking his hand in marriage. His comment comes at the back of the legalization of gay marriage in the US by the Supreme Court. 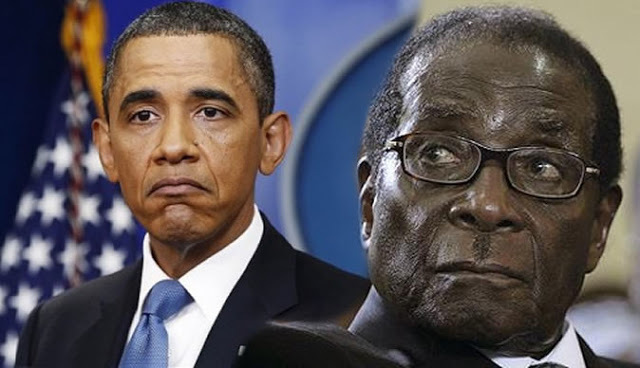 Mugabe said the American Government is run by pervert, Satan-worshipers who insult the Great American nation. "That the American tradition and heritage was based on lofty Christian principles, but to the detriment of this great nation, America’s corrupt political elite is acting according to their diabolic whims. Obama’s endorsement of gay marriage, the first ever from a sitting president, came amid growing pressure for the president to clarify his previously muddled opinion. Obama’s endorsement of gay marriage, the first ever from a sitting president, came amid growing pressure for the president to clarify his previously muddled opinion, as two senior members of his administration announced personal support for gay marriage and a day after voters in North Carolina approved a state constitutional amendment defining marriage as a union between a man and a woman.